Nardi presents Net Stool at Salone del Mobile in Milan, the new stool in the Net collection designed by Raffaello Galiotto. 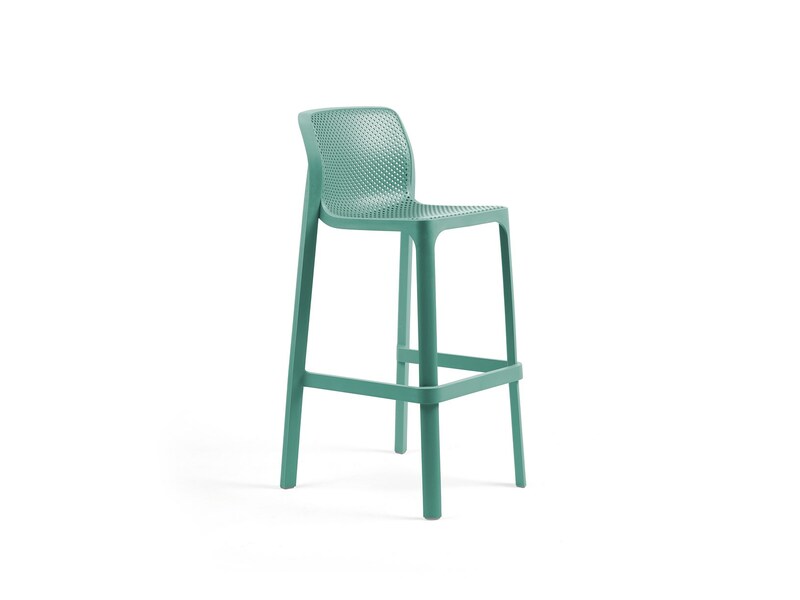 Fluid clear-cut lines and a new contemporary design: Net Stool completes the extensive Net collection, comprising the sedia Net, Net Relax armchair, Net Bench and Net Table. 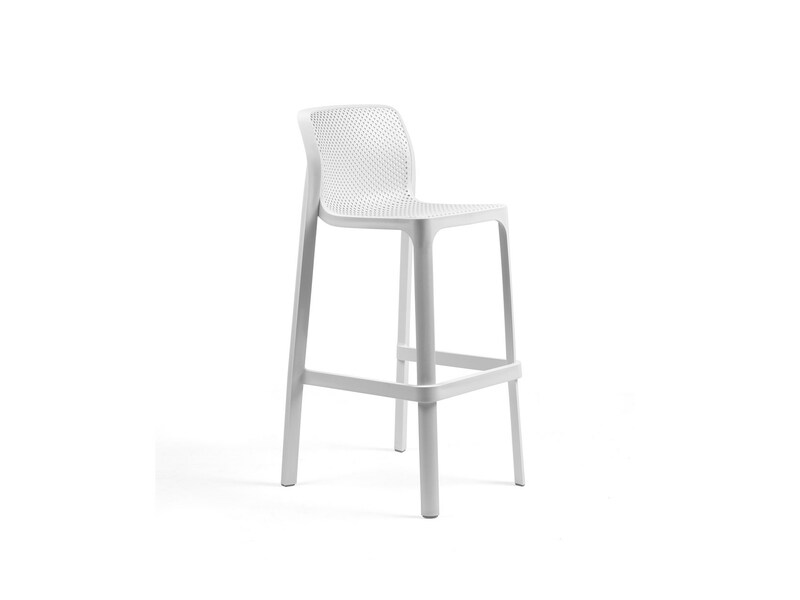 This genuine furnishing system has been developed to provide a further opportunity to design customised outdoor settings. 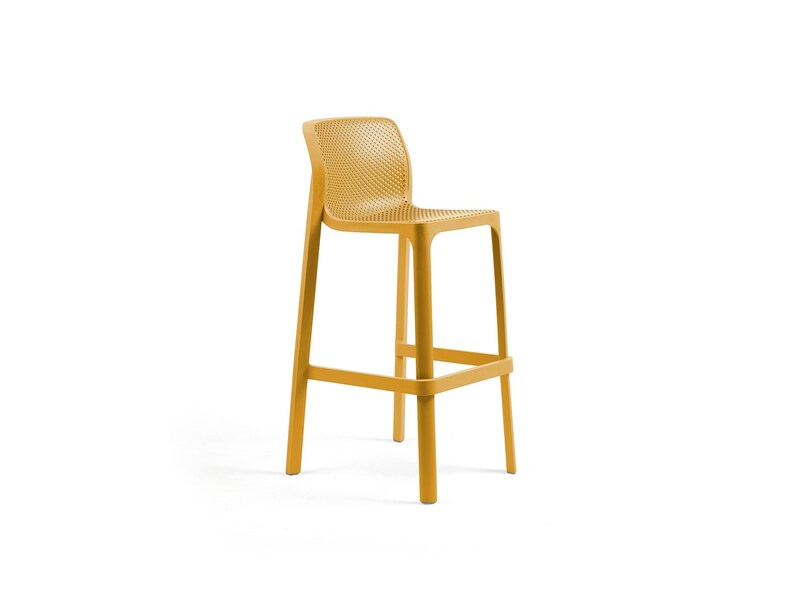 The stool, like all the items in the Net collection, is made of fiberglass resin. 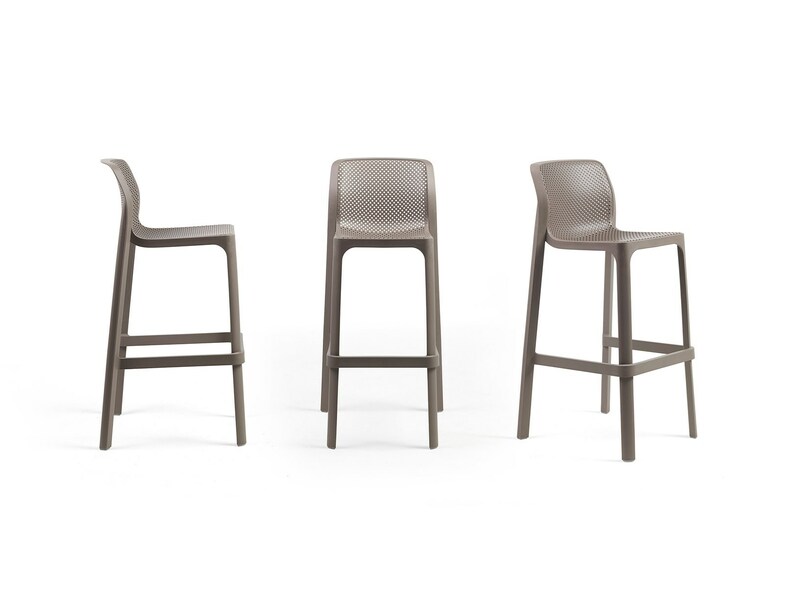 Available in six refined and versatile matt colours (white, charcoal grey, mustard, coral, willow and dove grey), it is decorated with the special square hole pattern, the leitmotif of the entire collection. 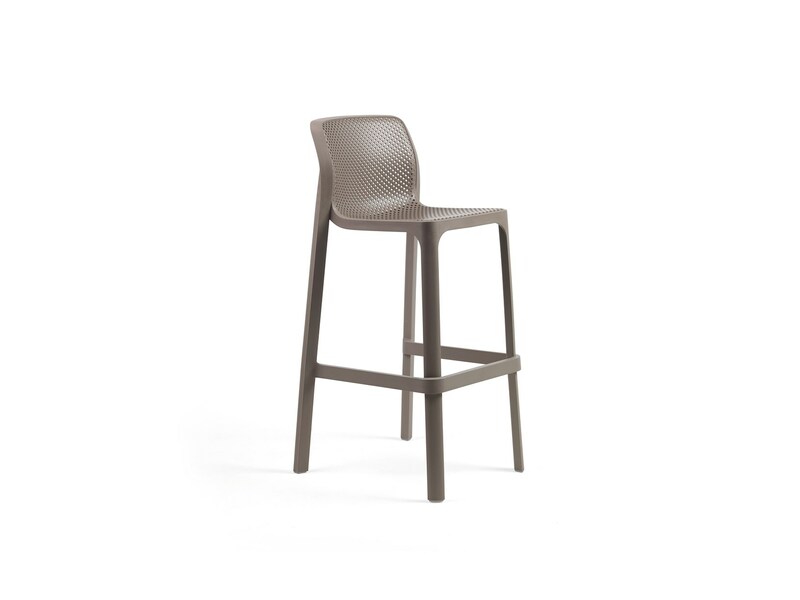 With its attractive design inspired by a lifestyle based on joviality and the art of good living, Net Stool successfully combines aesthetic appeal with functionality and is available in two different heights. 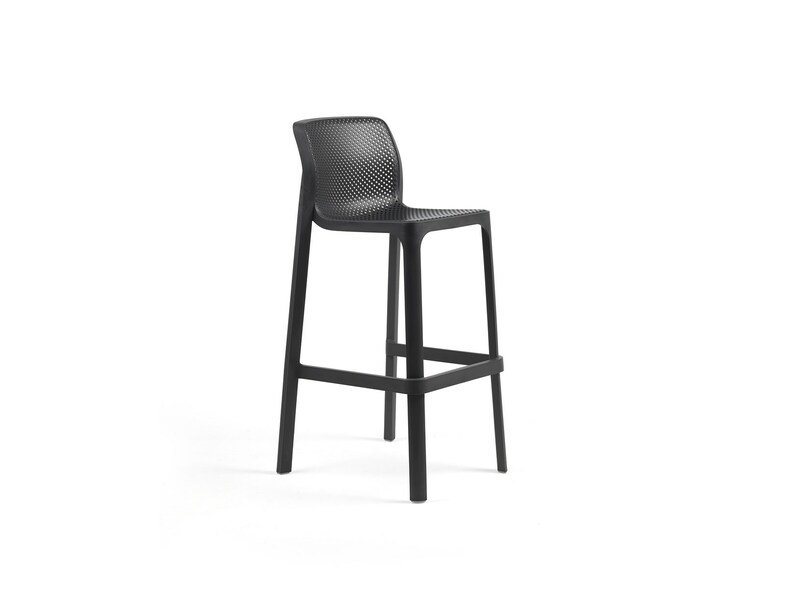 Designed to furnish outdoor spaces with style and practicality, the mini version of Net Stool is also in perfect harmony with indoor furnishings for bar counters, island units and kitchen bar units.